Where do you get that fava beans seeds? “cippolini, and I used to get my fava bean seed from then, but then something happened and they stopped carrying it”. What’s the name of the Fava bean? They can be a tricky crop, especially if high temperatures or a lot of rain causes crop loss. There’s also the possibility of quarantine, by the US, for virus, etc. I can’t remember which one’s I used to get from Seeds of Italy (I beleive I got an email or catalog in 2015 saying they were “unable to import them this year”), but i believe I’ve grown aqudulce, super aquadulce, vroom, extra prescocce, and sweet Lorraine. Wow that was impressive, I should plant the beans closer next year for more beans! Local nurseries here in the Bay Area sell bulk bags of dried fava beans to use as cover crop in the winter. I planted them one year and they took over the garden area (in a good way). I never planted them again because they are such a pain to prepare, with all the peeling. I never planted them again because they are such a pain to prepare, with all the peeling. If you eat them younger, no need to peel them individually and they are very tender eaten fresh. Sublime in salads. The variety they sell for cover crop is probably not the one most would choose for eating fresh.
" 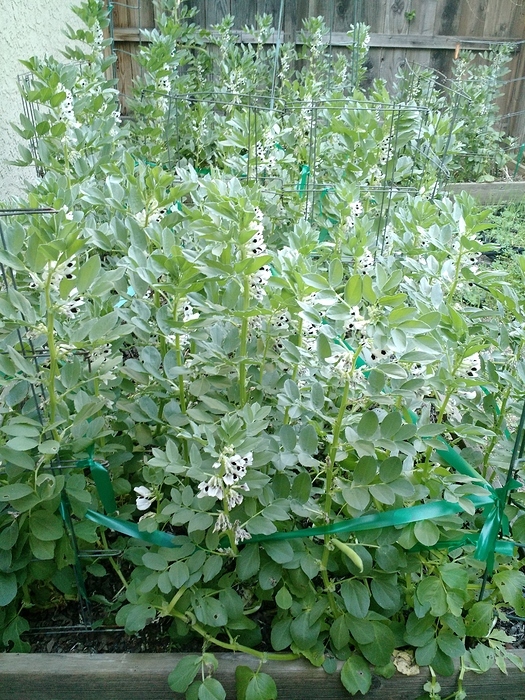 Seed companies, including Oregon’s Territorial Seed Company, sell small-seeded favas for planting as a cover crop. Varieties are sold as Banner and “small fave cover crop,” among other names. Small-seeded favas protect soil from months of pummeling rains. They are hardy to about 10 degrees. They fix nitrogen from the air into the soil and can provide as much nitrogen for your next crop as fertilizer, equivalent to 100 to 150 pounds of nitrogen per acre. Culinary varieties of fava beans are much larger seeds than cover-crop types. Up to an inch in diameter, the seeds/beans can be eaten when young, green and tender, and they taste like buttery lima beans. They fix nitrogen in similar amounts to small-seeded favas." If you try again, I read about freezing them briefly, then peeling which makes the process easier. That looks very promising, thanks. Our local market sells shell-on fresh favas, and I’ll give this technique a try.